Is there something you always take with your when you travel? It probably depends on where you’re going, but I bet there’s something that you consider essential, for one reason or another. So, let’s start with the shoes: good for walking, with thick soles. This is a no-brainer, especially in a place such as Madeira, with all those steep stairs and hills. And that’s just if you plan to stay in the city; levada walks would require a whole other set out footwear. But we’re not going there: I’m a city girl, and I know nothing about hiking. Next, the poncho. I have this exact same piece in no less than 3 shades of red, in blue, white and in purple plaid. I always take one with me when I go to Madeira (which is usually this time of the year, so by now I have quite a good idea of what I need to pack). 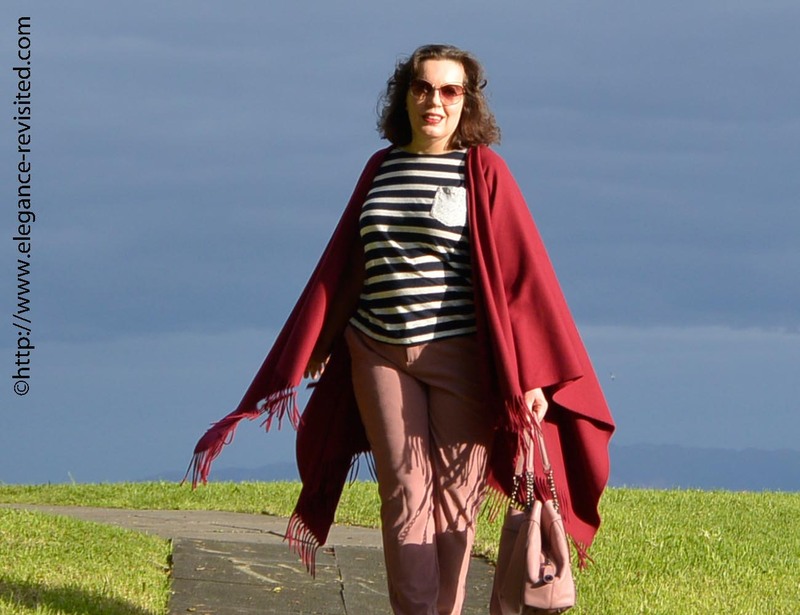 The woollen poncho is lightweight but warm, so I wear it instead of a cardigan during the day (if it’s cooler) and instead of a coat in the evening (when the temperature drops). And the rest of my travel wardrobe? Well, you’re looking at it. I mean, most of what I pack is just variations of this outfit: lot’s of t-shirts, lightweight trousers, a few pairs of sunglasses and a bag big enough for the camera. That’s what I was wearing most of the time. Of course, I also pack a few items that can be dressed up for more festive or formal occasions, some jewellery, and maybe a wildcard just to spruce things up a bit. And yes, I will post all of the above, in due course. Not to mention that, sartorially speaking, January is really boring. I don’t know about you, but this is when I start getting tired of all my winter clothes. And to think that we still have 3 months of winter left (at least)! So, posting my travel wardrobe in instalments allows me to both relive the lovely holiday and anticipate spring, which at this point seems so far away. What are your travel wardrobe essentials? Love the poncho. I always take a big warm scarf with me when I travel, no matter what the season. Oh yes,a big scarf is a necessity, I totally agree. Dresses are so versatile, aren't they? I love dresses when I travel, especially in summer. Happy New Year and thank you linking up with modish matrons! Yes, this poncho is very practical, and goes with anything. An extra layer of warmth, over a cardigan or a t-shirt. 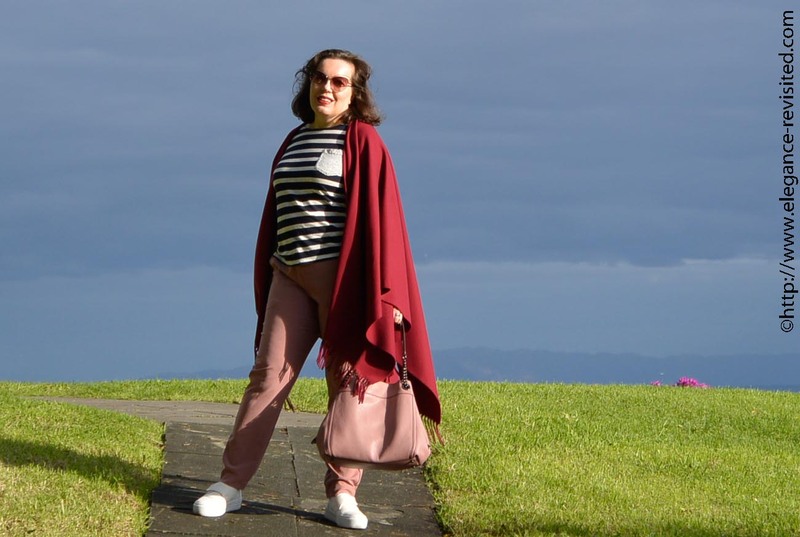 Tiina, you look elegant and so comfortable in your travel attire! 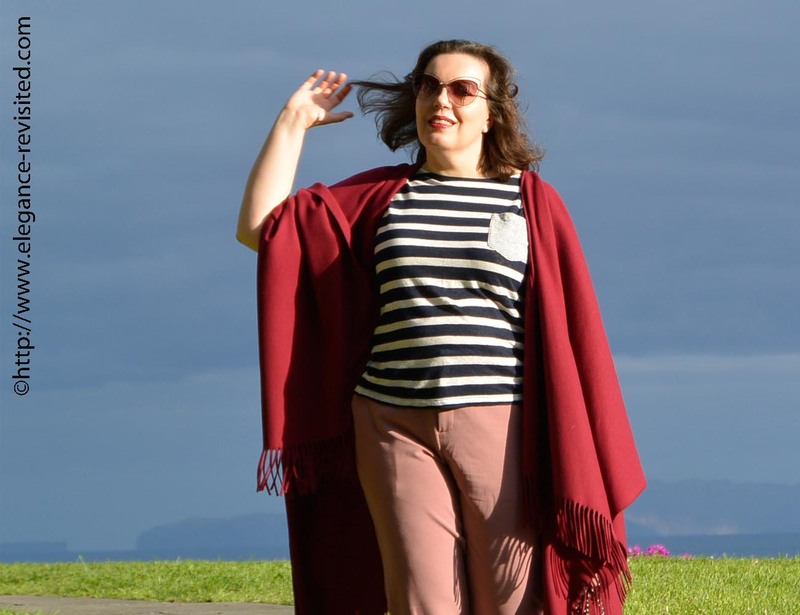 I am a big fan of ponchos/ruanas/shawls myself, and it's a brilliant idea to pack one with you on a mild winter holiday.Winter is long in Finland, and it's understandable that you feel bored with the same choices by now. 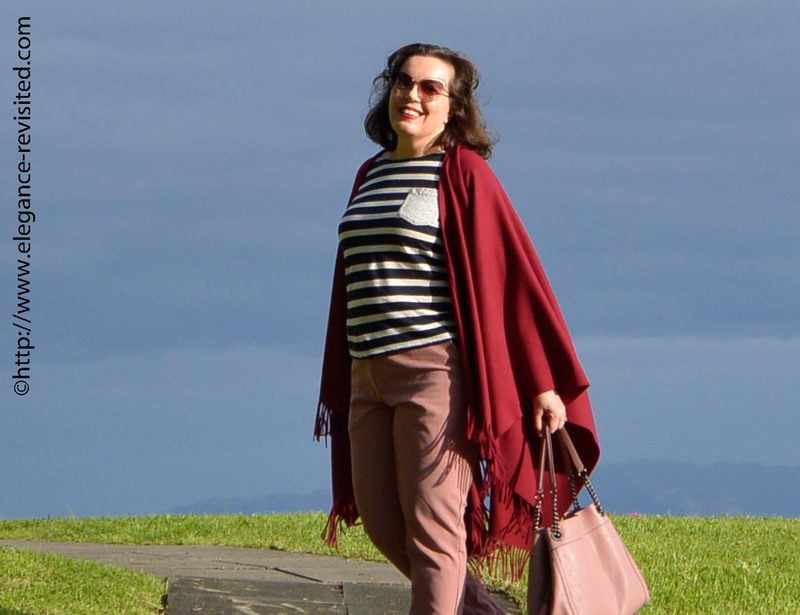 I am not ready to switch my winter wardrobe yet – there are still so many fun options…and it's not so cold here anyway. Soon camellia will be blooming.Thank you for linking with Modish Matrons! Happy new year and have a wonderful trip! I agree, I always take a pashmina or a poncho on the plane, too! Happy New Year!